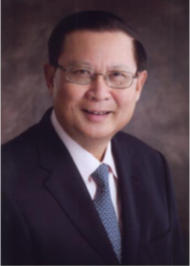 Holding OOS International Group BV is pleased to appoint Dr. Ng Pock Too as the Deputy Chairman of OOS Asia-Pacific Private Limited, a subsidiary of Holding OOS International Group BV, with effect from 28-July-2016. Dr. Ng will also serve as a supervisory board member to Holding OOS International Group BV. Dr. Ng will play an active role in establishing OOS brand name in Asia Pacific, primarily in the area of business development, partnerships, securing new revenues and strategic funding to enable OOS’s business strategy. 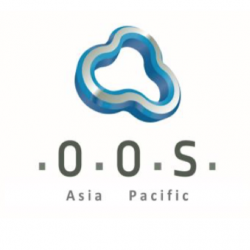 OOS is headquartered in Netherlands and have offices in Brazil, Singapore and Mexico. OOS provides offshore heavy lift and accommodation solutions, project and ship management, asset management, engineering and maintenance, and operations assistance. OOS is currently operating two heavy lift accommodation semi-submersibles in Brazil on long-term charters and are building two new state-of-the art heavy lift semi- submersibles capable of 4400mt tandem lift and subsea lifting capabilities. The vessels will be delivered by China Merchant Heavy Industries in 2019 and 2020 respectively. Dr. Ng has served a distinguished career in the public sector. He has served as Deputy Director of EDB from 1968 to 1982, Singapore Trade Development Board as CEO in 1983, Political Secretary to Singapore’s late founding Prime Minister Lee Kuan Yew from 1984 till 1990, Chairman of the Parliamentary Committee for Defence and Foreign Affairs from 1988 to 1991, Member of Parliament, Executive Secretary of the Singapore Port Workers’ Union from 1986 to 1990, Deputy Secretary- General of the National Trades Union Congress (NTUC) from 1987 to 1990 and Chairman of the Board of Directors of NTUC Income Insurance from 1990 to 2005.